Finally – a question about marketing strategy!!! We’ve always pitched this show as being mostly about product and business strategy. 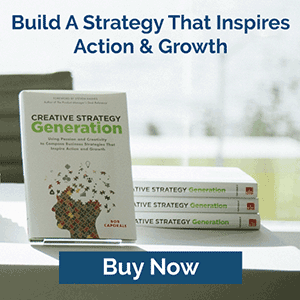 But when I founded my training business, Strategy Generation Company, earlier this year, I decided to focus the programs that we offer on the areas of product, business, and marketing strategy. And that decision, as it turns out, was a pretty timely one for me because, in addition to teaching other people about marketing, I have certainly had to do a lot more of it myself in connection with that new business! To frame this question up properly, let me first say a few words about where I believe marketing strategies fit within the context of product and business strategies. Most companies that I work with have three layers of strategy. The first is the overarching business strategy. This usually exists at a business or business unit level and covers the high-level vision, objectives, and strategic initiatives for the overall company. Next are the product strategies. These are nearly identical in structure to the business strategies, except that they are designed to address the actions that will be taken at a portfolio or product group level. For larger companies, these product groups could be in the range of hundreds of millions of dollars in revenue, so, effectively, they could be the equivalent of medium-sized business strategies. That being the case, what usually differentiates product strategies from business strategies simply has to do with the level of detail that will be covered at the tactical level. Product strategies, for example, would normally have some level of tactics laid out for each of the marketing mix areas of product, price, promotion, and place; whereas business-level strategies might not go into quite that level of detail. Finally, there are the marketing strategies, which are referred to in some circles as “go-to-market strategies.” These strategies are designed to be complementary to the product strategies and typically go into even more detail at the marketing mix level; laying out complete action plans with assigned responsibilities, milestones, and budgets for each of the 4-Ps. The other differentiating factor is that, whereas a product strategy will cover all of the markets that a product will be sold into (not always grouped together, but certainly all covered in one plan), a marketing strategy is usually focused on one singular market at a time. This makes sense since the individual detailed actions at the marketing mix level can be drastically different from one target market to the next, and it would be overwhelming and confusing to include all actions for all markets under the cover of one singular marketing plan. So, what you get, when you put all of this together, is a cascading effect going from your Business Strategy to your Product Strategy to your Marketing Strategy; with each new strategic layer adding more detail to the previous one. 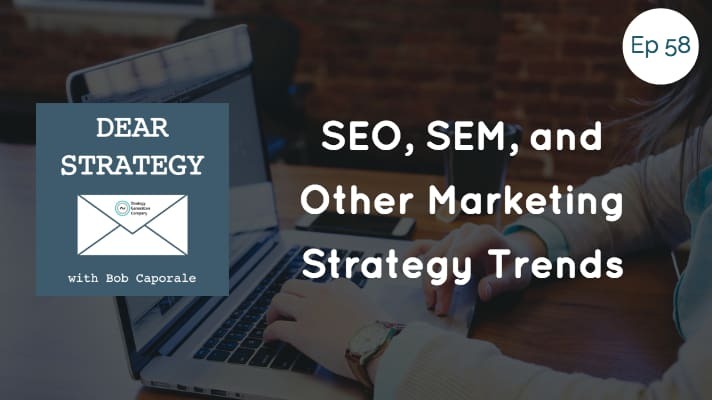 With that understood, we can get to the question at hand, which has to do with the types of things we might typically see at the level of a marketing strategy given the constantly evolving state of marketing and marketing technology. So, let’s give that a whirl. I should start this part of the answer by referring to an article that I wrote back in 2015 entitled, “Back In My Day…” or The Real Difference Between Inbound and Outbound Marketing. In it, I went on about the fact that the terms “inbound” and “outbound” marketing have recently taken on much different meanings than they did when I was coming up in the marketing world. “Back in my day,” as the saying goes, inbound marketing involved understanding customer needs, collecting data, and analyzing what was happening in the marketplace so that all of that information could be turned into some sort of a useful marketing campaign. Outbound marketing, then, was the actual process of promoting your product or service using whatever information you learned through your inbound activities. Well, several years on, I definitely appear to have lost the war on terminology, which is all well and good as it turns out. 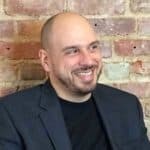 But, thankfully, what I haven’t lost is a clear understanding of how important these versions of inbound and outbound marketing have become. To sum it up in today’s terms – inbound marketing is all about making sure that prospective customers find you when they’re looking for whatever it is that you can provide; which roughly means that you need to show up in all the right internet searches. Back in the day, this pretty much equated to making sure you were prominently listed in all the best phone books. Now, things like Search Engine Optimization (SEO) and Search Engine Marketing (SEM) spring to mind; with the former encompassing designing your website, blogs, and landing pages with the right types of keywords so as to ensure being found, and the latter encompassing marketing yourself in connection with those same keywords directly with the different search engine providers. But there’s SO much more to it than that. Because bringing yourself to the top of any search is no easy task in such a crowded digital marketplace. And, contrary to popular belief, it’s not just Google that you need to worry about. Think about how many places people search for things online. Yes, there’s Google, Yahoo!, Bing, and all the other usual search engine suspects. But how about Amazon, iTunes, social media sites, or any of the other hundreds of online locations that your product might be present in? And even if you do figure out the magic formula for rising to the top of all of these sites, you’ll still need to find a way to get people to engage with you after you’ve been found. This is typically done through the use of some suite of marketing automation tools, none of which come cheaply and all of which take a LOT of time to learn, understand, and utilize to their maximum collective benefit. On the other side of the coin, outbound marketing is all about being seen when people aren’t otherwise looking for you. And although this form of marketing has arguably been around for a lot longer than the more technology-dependent version of inbound marketing, it too has evolved right along with our overly complex digital age. People’s eyes and ears are in a lot more places these days. Let’s face it, we have always been bombarded with lots of different inputs – from radio to television to magazines to billboards. But if we were bombarded before, we are absolutely inundated now. Anywhere there is an LED screen, we can be advertised to – from our computers to our cars to our smartphones to just about every square foot of every store we visit. The possibilities are endless. And, as a marketer who gets to harness all of these new possibilities, you’re going to have to work extra hard at making sure that your product or company somehow stands out from all the rest. And, just like inbound marketing, this takes time, money, resources and, most of all, a solid plan to back it all up. So you can see how: 1) You probably shouldn’t go into this level of detail in your product strategies because doing so for every product in every market would make those strategies too overwhelming to be of any use, and: 2) You probably should be considering all of these things in separate marketing strategies designed specifically for each of your targeted markets so that you can provide the right level of detail in a format that you can appropriately take action on. Now, is any of this any different than the way marketing has always been? At a high level, probably not. But the number of things you need to consider in any given marketing plan has most certainly evolved. And if you don’t stay ahead of the curve, nobody – and I mean nobody – will ever know that your product or company exists. And then, effectively, it won’t. So, before I wrap this up officially, I’d like to do a little marketing of my own! 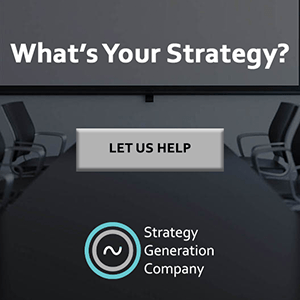 If you want to learn more about how to develop a marketing strategy for your company or business, and all of these “new-fangled” things that you need to consider when doing so, check out the Strategy Training for Market Leaders program that we offer through Strategy Generation Company. If anything in this blog resonated with you or piqued your interest further, I promise you won’t be disappointed! And that officially concludes the longest Dear Strategy blog I’ve written to date! Hopefully that provides a little inspiration to keep those marketing questions coming!